Data is that abundant in this digital world and with such a massive abundance that was never ever seen before, the need of the hour is a powerful robust system that can effectively take care of it. The answer can prove beneficial enough for the entire On Demand service-oriented applications. A suitable candidate for that responsibility is Big Data for sure. It is the future of handling all the astronomical volumes of data and it incorporates virtually all types of responsibilities ranging from data mining, querying, visualization and analysis to name a few. It can be used to boost the success metrics and can cut down errors that are usually committed related to the work. Now, how about we have a word on how Big Data can prove that effective for On Demand service business and in particular On-Demand Taxi booking. Some of the amazing powers which Big Data offers includes Visualization and Querying. Both of them can integrate a few variables to show which is the best in terms of market trends at present. For a start, Big Data can combine the weather info regarding a given time and region along with the data associated with the On Demand Taxi booking in order to give a clear picture on how weather impacts the demand for the business. In many ways, it can also be used in advance to see which time is the best fit in terms of high demand for the On Demand Taxi service business. Making use of all the info which it generates, the entrepreneur behind the business can take the necessary steps to be the dominant force in this business. Coming to the On Demand Taxi Service business it is indeed a daunting task to monitor everything when it comes to the availability of inventory which in this case is Taxicabs. Big Data comes to the rescue by integrating every taxi’s location info along with the Order Management System. Doing so you will get the precise info on the number of taxis that are idle, on transit or on standby as well. Big Data can be used to leverage its power which is access to all data. Then similar to the above case, it can correlate all the location related data along with the time when a booking is made. This can provide a broad picture of whether the users are inclined towards On Demand Taxi services particularly to commute to and from work or anything else. Again seeing the info revealed, the business owner can take resolutions or enhancements for the better. 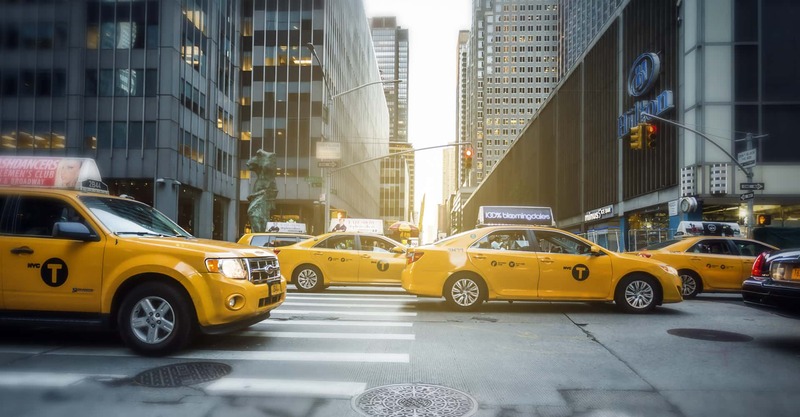 By integrating all the information like GPS location, the user preferences, traffic & weather info and lots more, Big Data can provide the best safety for all those associated with the On-Demand taxi service business. There are still lots more as to how the untapped potential of Big Data can enhance the On Demand Service industry and other types of businesses as well. A leading Top Mobile App Development Company based in Chennai, Pyramidion Solutions plunges itself into the technological world to provide even exceptional services . One of its prime focus is associated with leveraging the power of Big Data so as to bring the best for its clients.